Did you ever dream about being on TV? Having you own TV show for the average person is nearly impossible... Until now! 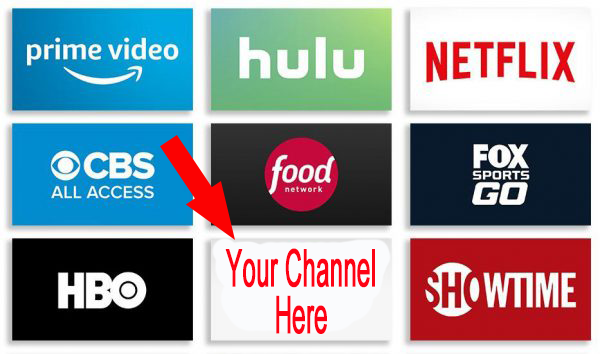 How would you like to have your own branded channel? TV is far more persuasive and will leave a much longer lasting impression than any other form of media. It works because it grabs attention and engages the audience. TV, also draws us in and then keeps the viewer engaged. TV has the power to move and to motivate us when done correctly. by having your own TV channel. Who can benefit from having your own TV channel? Your own TV Channel allows you to make the kind of impression that you want to make and gives you a huge edge over your competition. Imagine having your own TV channel that helps build your brand, brings in leads and brings in additional revenue. We make it affordable for you to have your own TV Channel just like the big networks without the high cost expenses.